We touched on this briefly in the opening, but it’s certainly worth discussing a little further. When you pay for visitors, you really need to know where they come from and what their intention is. Some places will essentially artificially inflate your numbers by delivering bot visitors instead of real visitors. As you can imagine, bots do nothing to increase your chances of a sale, and they may also end up leading to your site being blocked by ad networks and blacklisted by the advertisers who have paid to put ads on your site. 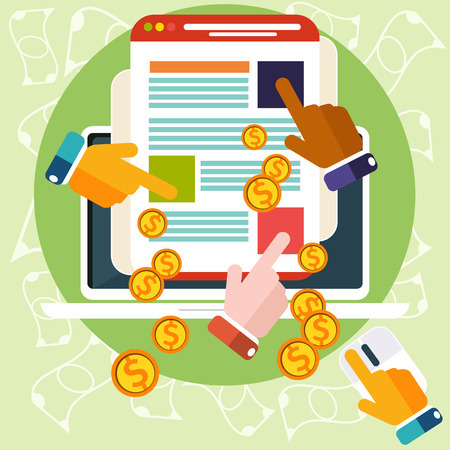 Paying for visitors to your site can certainly deliver a nice little boost in your numbers, but you have to ask how those numbers look to the advertisers, and if having those extra visitors is actually delivering a return on your investment. With paid traffic, you often have little control who arrives at your site, which means getting a lot of people with no interest in what you are offering. They won’t stay, they won’t buy, and they will not click on the ads being shown. High traffic volume with low click rates is not very enticing to an advertiser. If the majority of ads on your site are based on the number of views (CPM), you can almost guarantee that advertisers are not going to be happy with having to pay for what are essentially "junk" views. The want to see a real return on their investment, which can't happen if the vast majority of your visitors leave in a matter of seconds. Before spending a penny on paid visitors, you really need to think about the return on your investment. If it ends up costing you more to get the traffic than you make in sales or ad revenue, can it really be viewed as a smart business decision? There is always the possibility that some of your paid visitors like what they see on your site and decide to bookmark it to return at a later date. You will eventually lose those people, as well as your organic visitors, if you don’t deliver any content that will hold their interest. Simply filling a site with ads and hoping that the extra visitors will deliver an income boost is not a great long-term plan. The boost is good, but it should not be used as your sole strategy for growth.